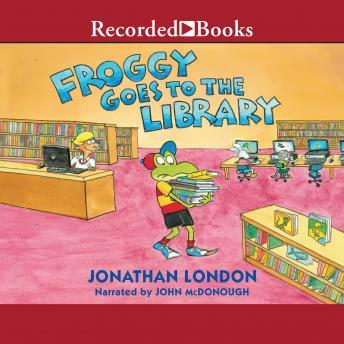 Froggy loves the library! When Froggy and Mom and Pollywogilina set out for the library, Froggy brings a wheelbarrow to hold all the books he plans to borrow. There are so many to choose from: Dinosaur books! Books about Space Frog! Froggy is so excited that he forgets to use his indoor voice. Readers enjoy Froggy's antics, and so does Miss Otterbottom, the librarian. "Come again soon, Froggy, she says."